The guest speaker at the upcoming meeting of the Flatirons Photo Club on January 11 (Thursday), 7PM at the Har Hashem Synagogue, 3950 W Baseline Road, will be Michelle Theall. 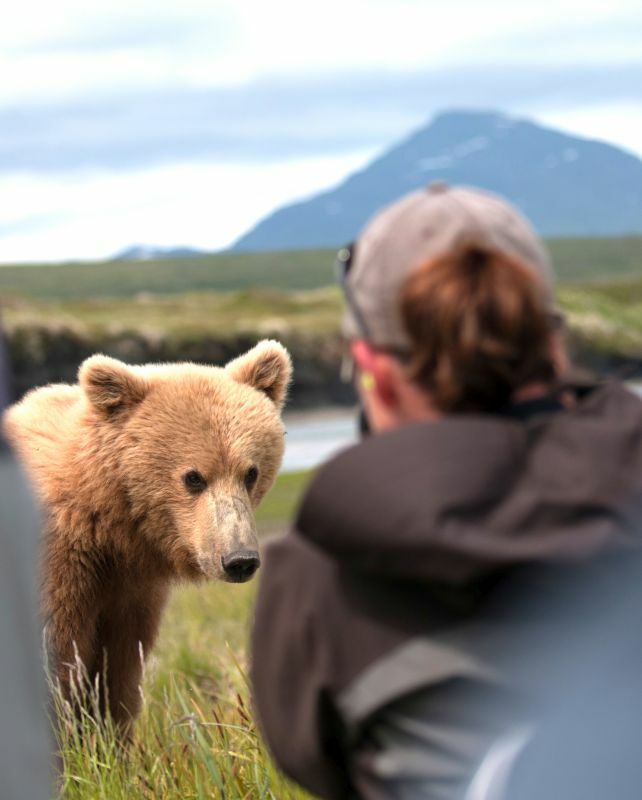 Michelle, an award-winning wildlife photographer and and senior editor at Alaska Magazine, will share photos and adventure tales from her travels in the field to photograph the largest land predators on the planet: the grizzlies, browns, and polar bears of Alaska. Her work has appeared in national magazines and around the globe, and she is represented by Aurora Stock Agency and Getty. In addition, she runs photo and wildlife-viewing excursions in Alaska and Colorado through her company Wild Departures ( www.wilddepartures.com ). Come and enjoy an evening of incredible images from Alaska, the Last Frontier, and beyond—and gather a few tips for perfecting your own images. Our Special Topic for the monthly competition will be something different. Members may submit 2-3 photos, the first from a photographer that influenced your photographic style (maybe John Fielder or Annie Leibovitz). The member may then show one or two of their own photos that shows the influence. Photographic styles might be: travel, portraiture, National Geographic-like, editorial, landscape, wildlife, documentary. See flatironsphotoclub.org/monthly-members-competition for details on submissions. Digital images should be submitted by Sunday, January 7. This entry was posted in Monthly Programs on January 4, 2018 by admin.